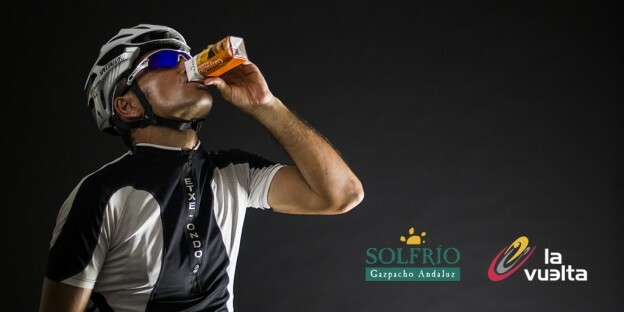 Solfrío refrigerated creams can be your true allies in this spring season in which you may feel tired and with lack of motivation. In order to avoid other symptoms of spring asthenia such as irritability and loss of appetite, we recommend you our Creamed Pumpkin and Creamed Vegetables, which are made in the traditional way with the best vegetables. This entry was posted in Tips and tagged pumpkin cream, solfrio creams, spring asthenia, vegetables on 25 March, 2015 by Solfrío. Gazpacho is a traditional dish that may vary depending on its preparation and serving. 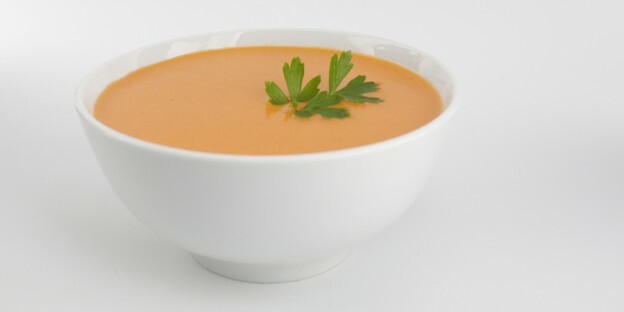 An original decoration of the dish or combined with other food may create different sensations of a same gazpacho. If you want to impress your guests, please read this post in which three different ways of having gazpacho are described. This entry was posted in Tips and tagged Andalusian gazpacho, Solfrío gazpacho on 1 October, 2014 by Solfrío. 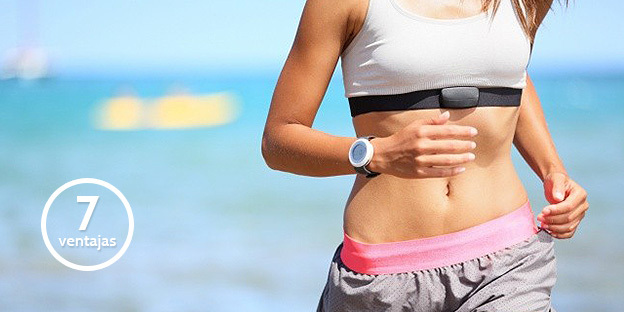 1010Among the wide range of products that promise incredible effects for our body and even eternal youth, the recipe of Solfrío gazpacho, which is a traditional dish with many health benefits, is included. This entry was posted in News and tagged Andalusian gazpacho, gazpacho recipe on 10 September, 2014 by Solfrío. 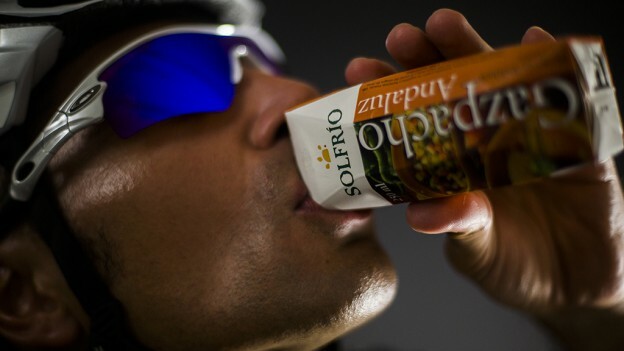 This entry was posted in News and tagged isotonic drink, Solfrío gazpacho on 28 August, 2014 by Solfrío. This entry was posted in News and tagged Solfrío gazpacho on 21 August, 2014 by Solfrío. At Solfrío we think of diners who can appreciate the tasty and traditional recipe of this gastronomy dish. We work hard to obtain the perfect colour, smell, taste and body that provide our gazpacho with the distinction of a natural and tasty product. 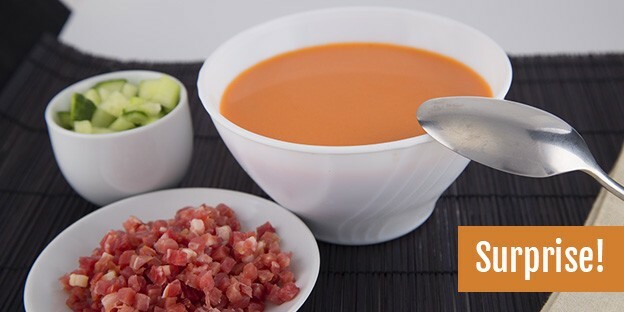 This entry was posted in Tips and tagged Andalusian gazpacho, good gazpacho on 7 August, 2014 by Solfrío. The way of serving gazpacho may influence the level of satisfaction. It can be alone or accompanied but always cold. As it is a traditional summer dish, temperature is of outmost importance because flavour and freshness may change. 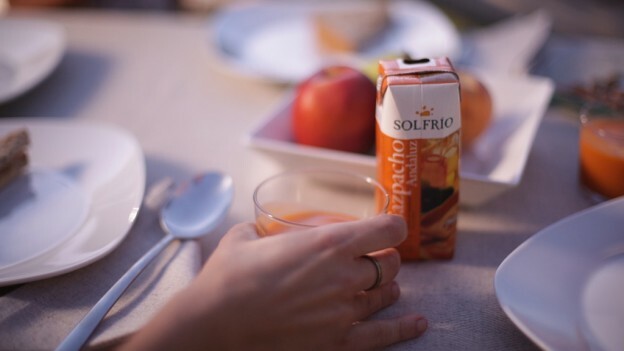 This entry was posted in Tips and tagged Andalusian gazpacho, perfect gazpacho, Solfrio on 24 July, 2014 by Solfrío. I'd like you to contact me as soon as possible.